Born in 1902 (on February 4th in Detroit, Michigan), Charles Lindbergh is one of the most famous aviators in history. On today’s date, March 27 in 1927, he registered to compete for the Ortieg Prize, the competition that would catapult him to stardom. He was just an airmail pilot when he threw his hat into the ring to do what many other famous aviators of the time had failed to do – fly non-stop across the Atlantic Ocean from New York to Paris. His record-setting flight took place from May 20-21 of that year and won him the Medal of Honor. 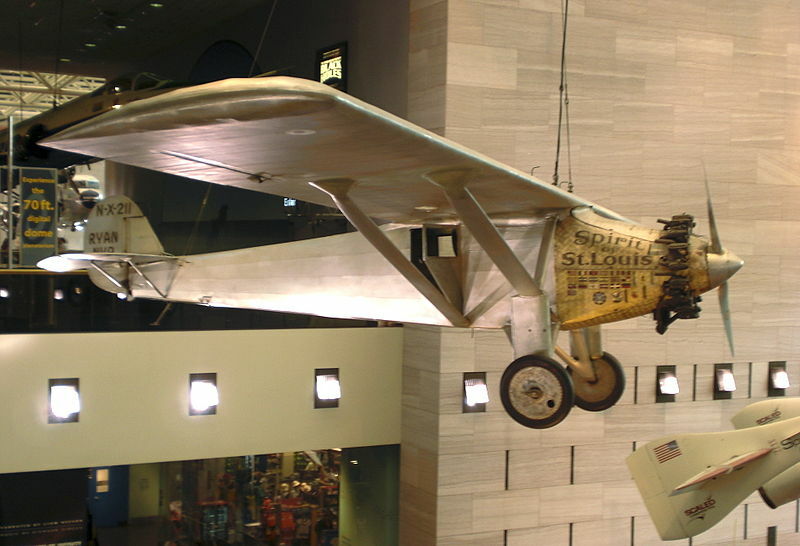 Lindbergh made several risky decisions in preparing for his flight that made his success possible. First, he opted for a different plane, the single engine Spirit of St. Louis, than most others who attempted the journey. Second, he decided to fly alone in order to avoid any personality conflicts or arguments that had caused problems for other prize contenders. Third, he eliminated anything he considered non-essential in order to cut down on weight. His non-essential items included a radio and a parachute. Fourth, he took off in weather that others would not have deemed safe to fly in. His journey took more than 30 hours and made him an immediately celebrity. Lindbergh was named Time Magazine’s 1927 Man of the Year. He was then and remains the youngest person, at 25, to be given this honor. Lindbergh used his celebrity to support the growth of the commercial aviation industry until his infant son was kidnapped in 1932. The national hysteria resulting from the kidnapping and the kidnapper’s trial caused Lindbergh and his wife to retreat to Europe in order to escape the constant media attention. They returned to the U.S. in 1939, just before the start of WWII. Although he was initially against U.S. involvement in the war, after Pearl Harbor Lindbergh joined the war effort and flew 50 combat missions as a civilian airman in the Pacific. He remained active in the aviation industry through his life in addition to becoming a renowned author and passionate environmentalist. One of this many causes was the plight of endangered species. He died in Hawaii in 1974.